Fish the deep sea waters off of Key West on board one of our 38 - 47 ft sport fishing boats. Deep Sea fishing in Key West is EPIC! We have so many fish to chose from that our deep sea fishing charters are super productive and show people an amazing time on the water. Just 7 miles is all the run that it takes to get to blue water and start fishing. Our fleet gets you there fast and in style. 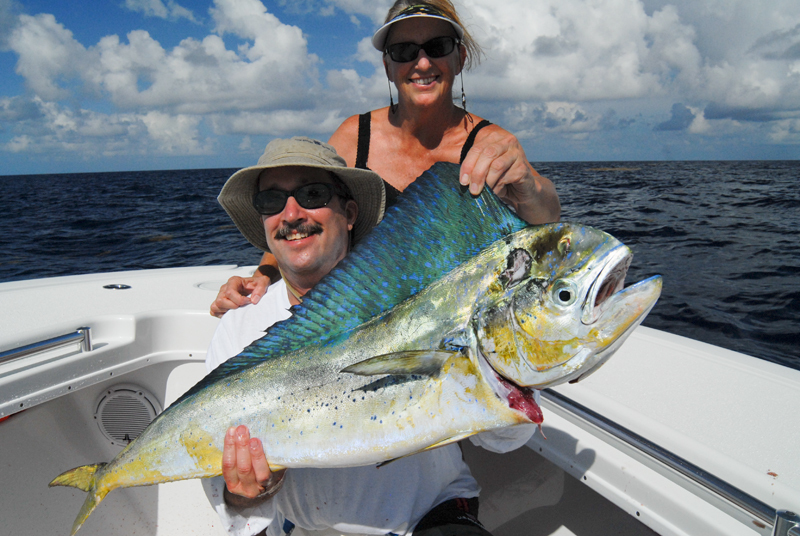 Go with the best in Key West for deep sea fishing. The boats we use are the very best in the fleet. Deep sea fishing boats ranging in size from 38 – 47 ft. All of our boats take 6 or less and keep them Comfortable. They have bathrooms, fighting chairs, ice chests to put your cold items in and kill boxes for your table fare. The captains and crews are all very experienced and customer service is number one. No grumpy mates and captains in our lineup of boats. At the end of the day you will feel like family. Our deep sea fishing charters clean your fish for you and allow you to take what you caught as long as it does not go to waste. Dolphin, Tuna, Shark, Kingfish, Wahoo, Sailfish, Grouper, Snapper, AmberJack and more. Island Genn has been setting people up on deep sea fishing charters here in Key West for over 10 years. She knows which boats are in the bite and which ones are not. She is in touch with these guys every day and knows what the fishing reports are.